Where we fill the plate with a Schnitzel and leave you no room for dessert! Bookings encouraged!! We are open every day and have specials every day – if you are not wanting a schnitzel, we are sure you will be most pleased with the options. 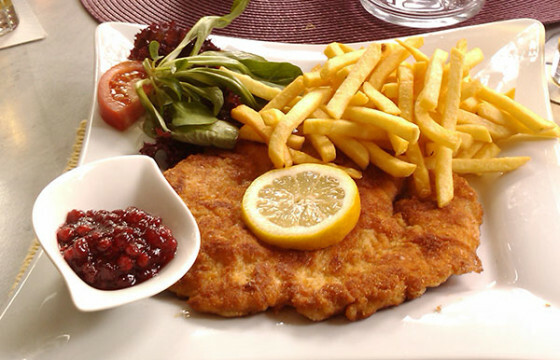 Schnitzel is a traditional Austrian dish made with boneless meat thinned with a hammer (escalope-style preparation), coated in bread crumbs and fried.